Middle School students were part of a community service project led by the Interact Club to benefit Operation Christmas Child. This annual event is organized by Samaritan’s Purse, a relief and Christian evangelism organization led by Franklin Graham. The purpose is to demonstrate God’s love in a tangible way to needy children around the world. Families donated shoe boxes filled with necessities and treats for children, and the boxes were delivered to a local collection center. 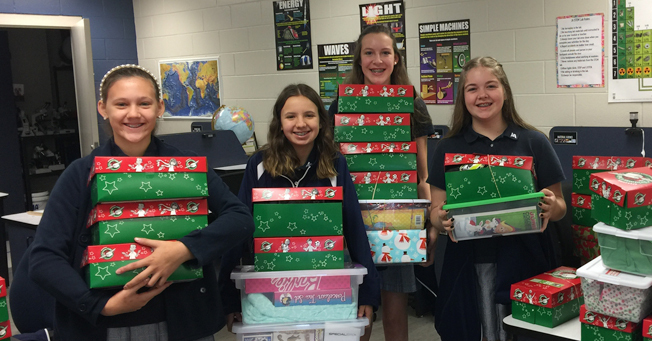 This year the Middle School donated over 70 Operation Christmas Child shoeboxes.